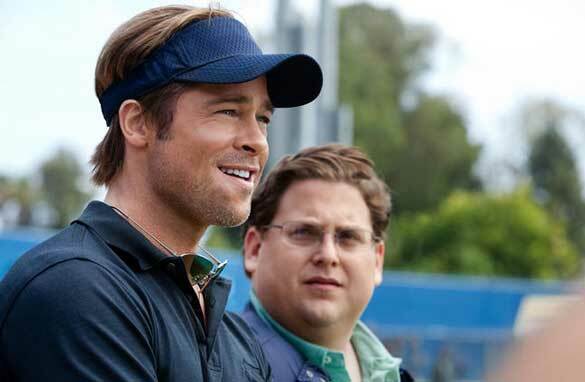 Here are 4 new clips from the upcoming Brad Pitt film, Moneyball. Opening September 23rd, it tells the story of real-life tale of Major League Baseball general manager Billy Beane, who built up a winning team despite a decreased budget thanks to his sly use of statistical data to calculate the best — and cheapest — players for his roster. Also starring Jonah Hill, Philip Seymour Hoffman, Chris Pratt and Robin Wright, I’ve heard some really good things about the film. I’ve also heard this is Pitt’s Oscar bait film.